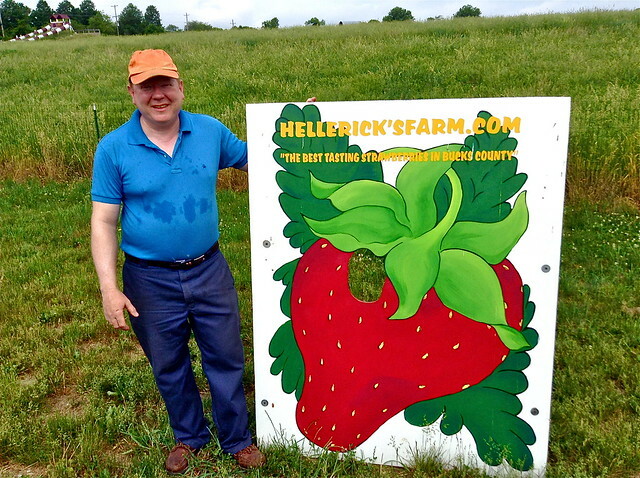 The Hellerick family prides itself on having the tastiest strawberries in Bucks County, Pennsylvania at their farm near Doylestown. And your correspondent is not one to gainsay them. 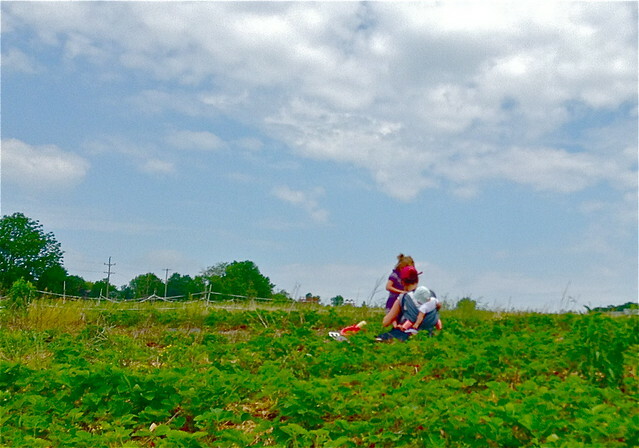 Along with the weather, Bruce Hellerick attributes tasty strawberries to the farm's exceptional soil, "Abington silt loam.. a good combination of sand, silt and clay" that has a lot of nutrients and micro-nutrients and holds moisture well. Paul Hellerick says a lot of sun in the springtime contributed to the sweetness of the berries. Although the berries were not as plump as we would have liked when we visited, rains that followed our visit likely plumped them up nicely for the next wave of families! Watch video here. A mother and daughter, Bea Weidner and Emily Linso (not shown in this photo) took time to smell the roses in the bright and fragrant heritage rose garden at Wyck. 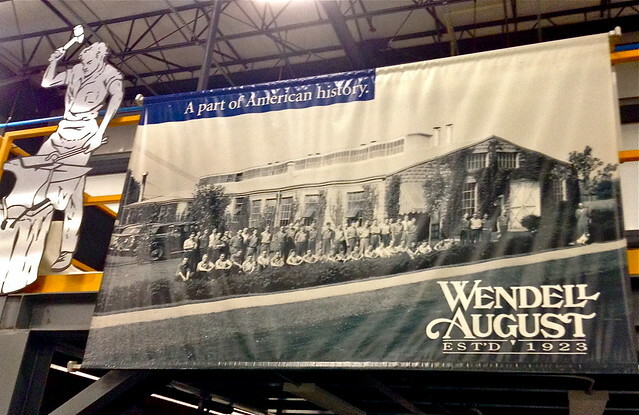 A national landmark, Wyck, is the ancestral estate of the Wistar-Haines family located in the Germantown section of Philadelphia. Development Director Kristin Hagar (above at table) welcomed people to a "Celebration of the Roses" open house and explained that heritage roses are generally brighter and have a more potent fragrance than modern roses, but last a shorter time. 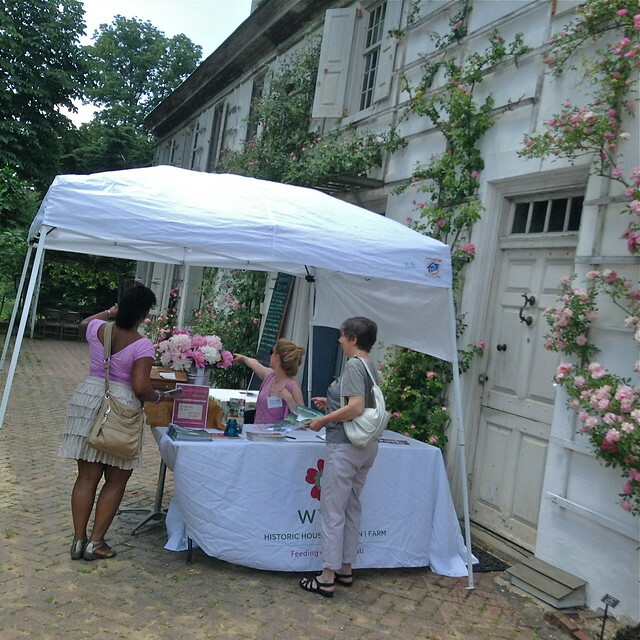 She welcomes the public to nominate locations where a Wyck heritage rose might be planted for the public to enjoy. Video here. 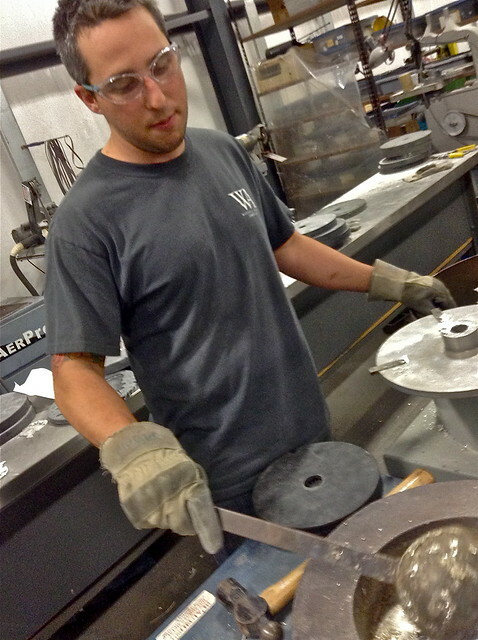 Kyle Gerckin, head of the caster department at Wendell August: American Made Gifts in Grove City, PA shows how to pour pewter into a custom-made mold to create an ornament. Next to its flagship store featuring hand-hammered metal gift items, the forge, in operation since 1923, is open to the public and offers tours. According to Gerckin, the pewter mixture Wendell August buys as ingots and melts down is composed of 90 percent tin, bismuth for its bonding properties, copper and a little bit of silver. The advantage of pewter, Gerckin says, is that it looks like silver but is less expensive and easy to work with. 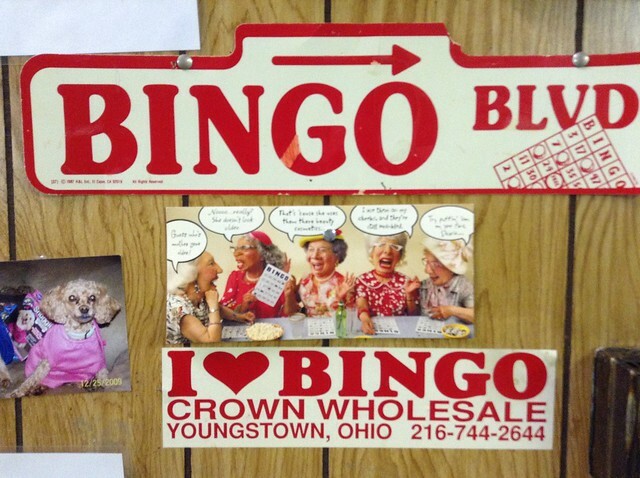 Every Friday night and Sunday afternoon Bingo happens at the Sallmen’s Social Center and Bingo Hall in New Castle, Pa. All proceeds go toward organizations like the American cancer society or an individual or family in need says Marylou Diaz who operates the hall. On a recent night players were after a $450 jackpot and many were playing multiple cards to increase their chances of winning. Watch video here. Janet Maines has been playing Bingo ever since her grandmother introduced her to the game when she was only 5 and now she travels all around to play. 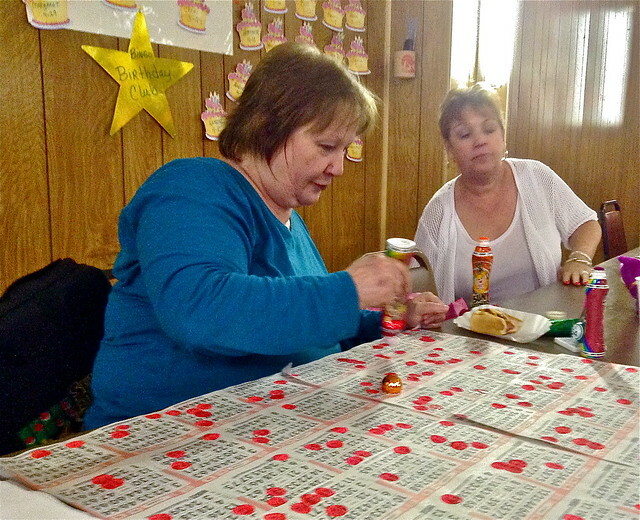 “In 1998, in Clarksburg, West Virginia, I won $20,000.” At the Sallmen’s, Maines exhibited a talent for carrying on a conversation while playing nine Bingo boards at a time. When a number is called her eyes scan in a zigzag pattern through the boards as her hand is poised, dauber ready, to stamp every appearance of the called number. Watch video here. 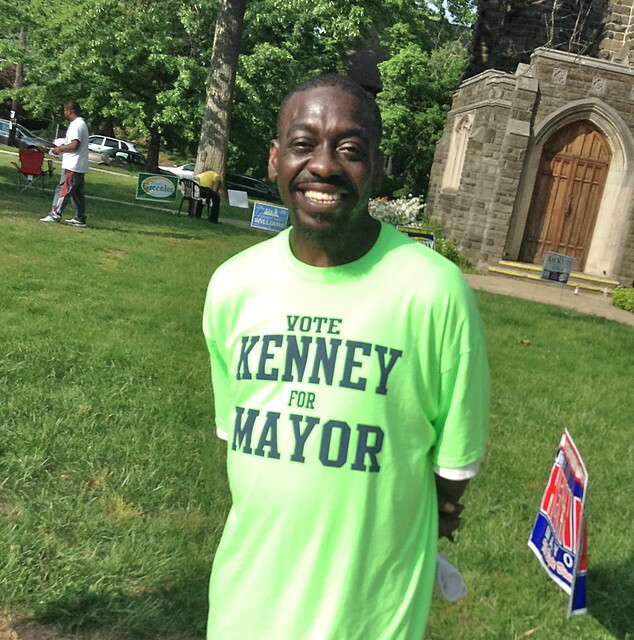 At a residence in Mount Airy shoppers busily browsed and made purchases from the 500 plus plant collection at the much advertised "Divide and Conquer" plant sale on a beautiful Saturday. 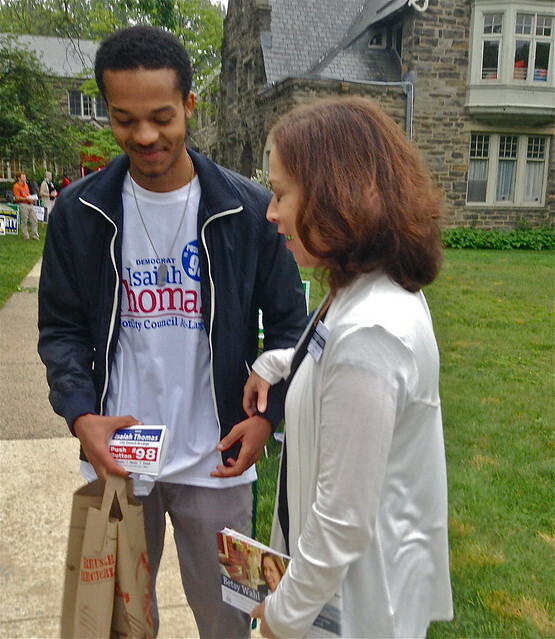 James Watts of Germantown holds and Ostrich fern. Molly Mamorian of New York looks over her sister's shoulder. Watch video here.